Don’t just give gifts to your friends and family this holiday season, give back to Mother Earth! Thymes Fragrances is offering “Buy One. 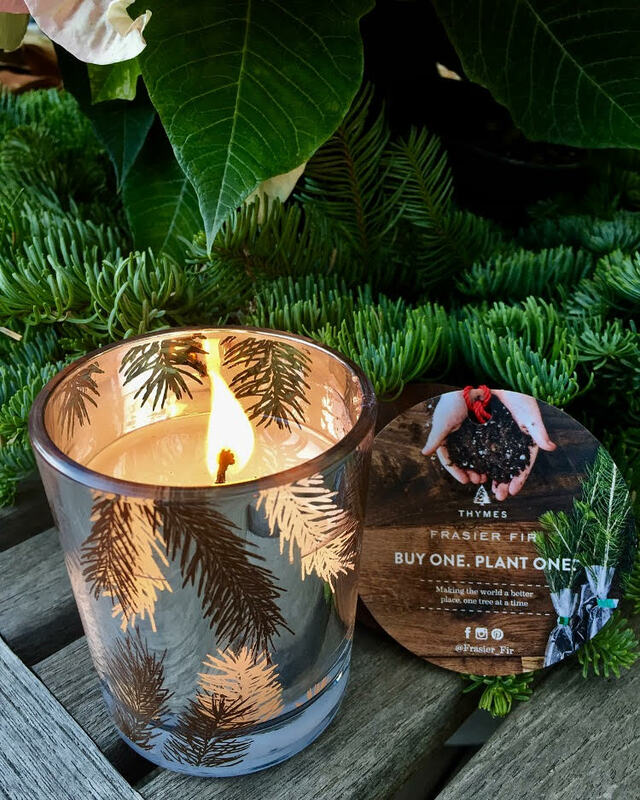 Plant One.” For every candle purchased, a tree is planted in collaboration with Woodchuck USA. Talk about a gift that will keep on giving! Planting trees is essential for our future, since each tree contributes to its environment by providing much-needed oxygen, climate amelioration, conserving water, improving air quality, preserving soil, and supporting wildlife. Making the world a better place one tree at a time. Click HERE for more of my holiday gifting and decorating ideas!